Summers mean basking in the sun, sipping cocktails by the poolside and camping out with friends and family. On the other hand, summers also mean mosquito and chigger bites, brushes with poison ivy and sunburns that give you an incessant itchy sensation. Certain skin conditions can also make your skin or scalp itch like mad. Once you get bitten by a bug, you cannot help but scratch the area until you get relief, which isn’t going to come anytime soon. And quickly, a small bug bite will turn into an awful rash. 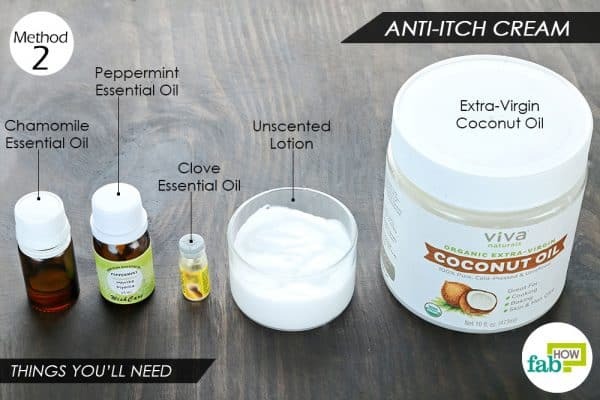 Since you cannot avoid going outside, nor can you kill every bug on this planet and endanger your existence, you may as well prepare in advance to treat your itchy skin quickly. 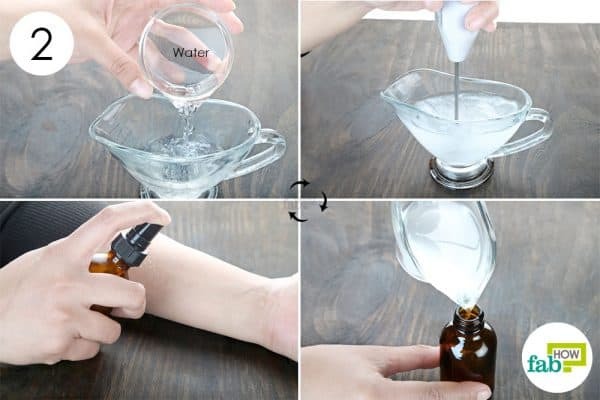 What you need is something that can immediately disinfect the skin, calm the itching and help the bite, rash or other problem heal quickly. This is where the DIYer in you should spring into action. 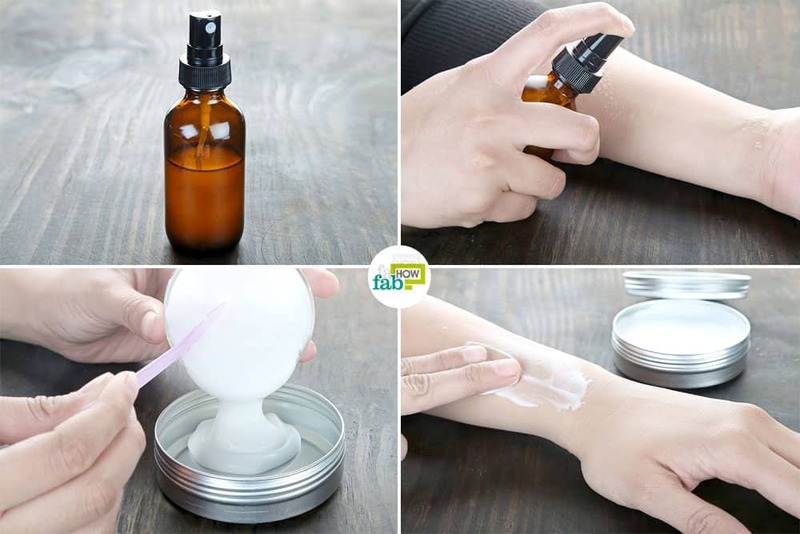 DIY homemade anti-itch cream and sprays are easy to make, cost next to nothing and save you from slathering unwanted chemicals onto your skin. We bring you three easy recipes to make a homemade anti-itch spray and cream for your skin and scalp. Choose the one according to your need – or make all three and enjoy your summer stress-free. Caution: Since these remedies use essential oils, do not use them on children or if you are a pregnant woman. If you wish, you can skip the essential oils and make the recipes just with the other ingredients. To relieve itchy skin, you need something to cool it off. This homemade anti-itch spray contains a blend of cooling and skin-soothing ingredients that will quickly control the itchiness and your urge to scratch the affected area. 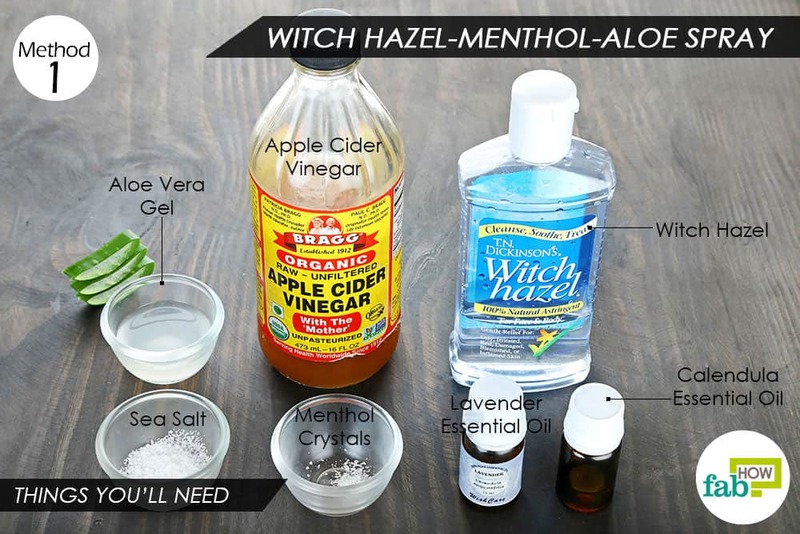 Witch hazel, a natural astringent, contains tannins and essential oils that give it anti-inflammatory and antiseptic properties. The menthol crystals in the spray leave a cooling sensation on the skin and bring immediate relief from itching. The apple cider vinegar also contains anti-inflammatory enzymes that bring down swelling and redness. The sea salt helps disinfect the area by killing any microbes. This spray also contains aloe vera gel, which is another excellent anti-inflammatory agent. It also forms an antibacterial layer on the skin to keep it protected. Finally, the lavender and calendula essential oils enhance the antiseptic and skin-healing properties of this spray. 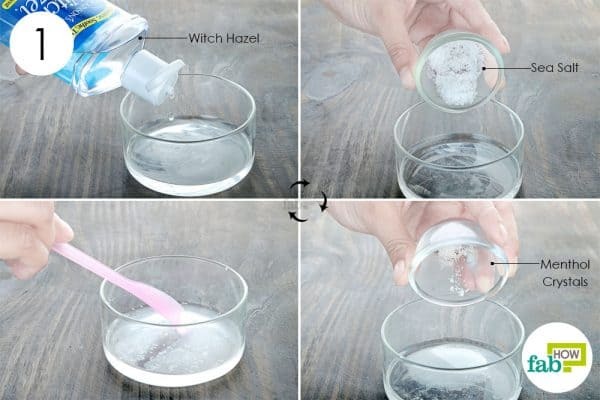 Pour 2 tablespoons of witch hazel into a microwave-safe container. Microwave it for 10 to 15 seconds until it is comfortably warm to the touch. Add ½ teaspoon of sea salt and ¼ teaspoon of menthol crystals. Mix well until the ingredients blend completely. 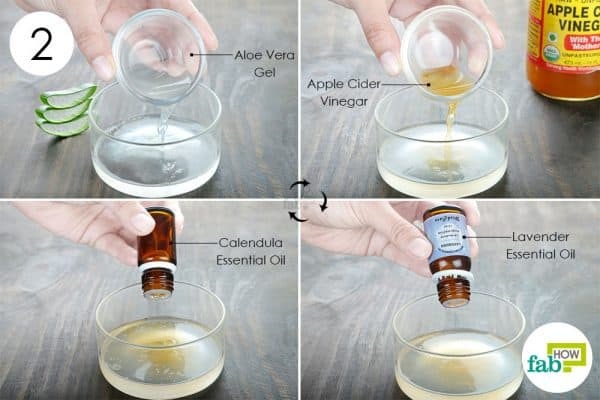 Add 1 tablespoon of aloe vera gel and ½ tablespoon of raw apple cider vinegar. Add 2 or 3 drops each of lavender and calendula essential oils. Mix everything well and funnel the solution into a dark-colored spray bottle. Simply spray the solution on the rash or itchy skin to get instant relief. Store the spray in a dark, cool place or the refrigerator. The shelf life is 1 to 2 weeks if you use fresh aloe vera gel. If you use packaged gel, the spray should stay good for 2 to 3 months. If you prefer cream over a spray, go ahead with this DIY homemade anti-itch cream recipe. You can use any unscented lotion to form the base of this cream. Added to the cream is coconut oil, which works as an anti-inflammatory agent to reduce the itching quickly. It is also antimicrobial and will kill any germs on the skin. 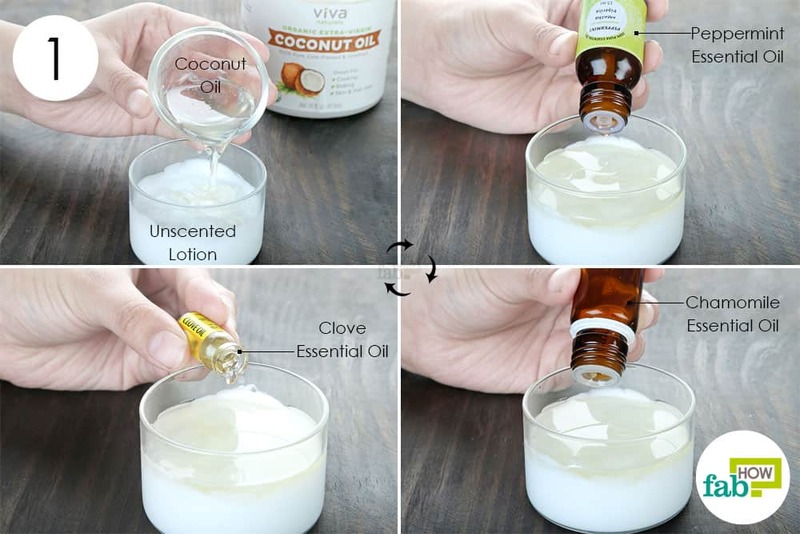 This DIY cream also uses clove essential oil that acts as an analgesic and peppermint essential oil that soothes the skin by leaving a cooling sensation. The chamomile essential oil also has a calming effect on the skin. Put 3 tablespoons of unscented lotion in a container. Add 1 tablespoon of extra-virgin coconut oil. Add 30 drops of clove essential oil to it. Add 15 drops each of chamomile and peppermint essential oils. Mix the ingredients well to get a consistent paste. Transfer it to a clean tin can for storage. Apply the cream to bug bites as needed. The shelf life of this homemade anti-itch cream is 3 to 4 months when stored in a cool, dry place. Having an itchy scalp is more common than you think. 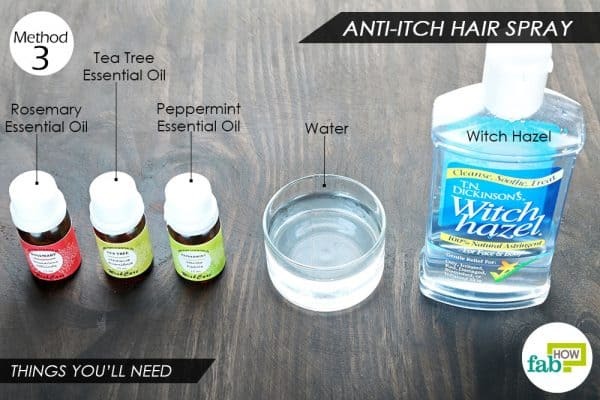 It can be due to a skin condition like eczema, psoriasis or a fungal or bacterial infection, or due to poor hygiene, lice and other scalp irritants. Irrespective of the cause, the urge to constantly scratch your head is nagging. This anti-itch spray can relieve the itchiness both on your scalp & skin. It uses witch hazel as the base, which works as an anti-inflammatory and mildly antibacterial astringent to soothe the irritation. The spray also uses tea tree essential oil that fights off bacterial or fungal infections on the scalp and skin. The peppermint essential oil in it imparts a cooling sensation. The rosemary essential oil helps prevent hair loss, which is commonly associated with an itchy scalp. 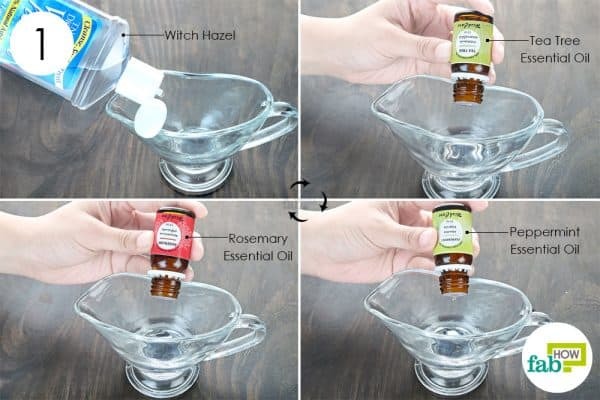 Pour 2 tablespoons of witch hazel into a container. Add 5 drops each of tea tree, peppermint and rosemary essential oils to it. Add ¼ cup of distilled water to the ingredients. Use a motorized blender to mix everything well. Transfer the solution to a dark-colored spray bottle. Shake well before each use and spray it on your itchy skin or scalp to get instant relief. 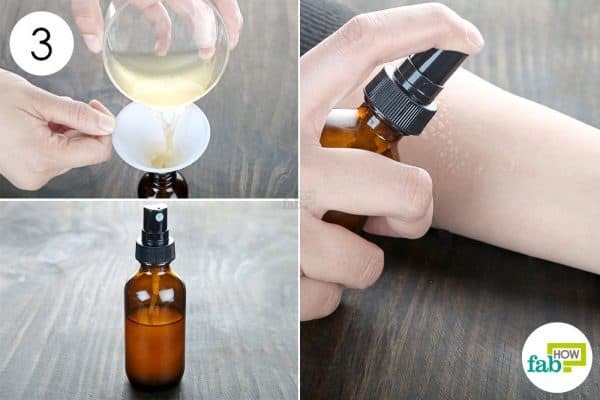 The shelf of this DIY homemade anti-itch spray is 2 to 3 months when stored in a dark, cool place. Avoid incessantly scratching the area, as it can break the skin and invite infection. 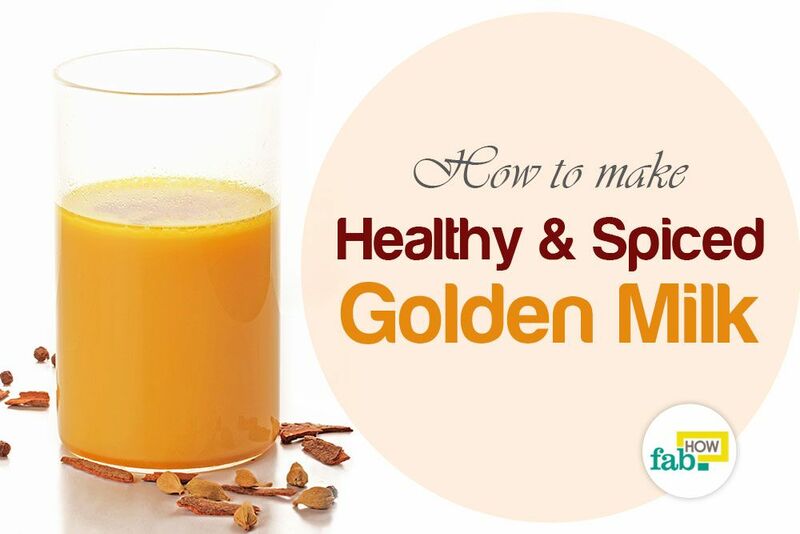 Applying a mix of cold milk and water can also help reduce the itching. If it is the bug season, wear long-sleeved shirts and pants when going outside. You can also use homemade bug sprays in your home and garden to ward off bugs and insects. To keep yourself safe from the bugs as well as harsh chemicals, learn here to make DIY bug spray for your skin.